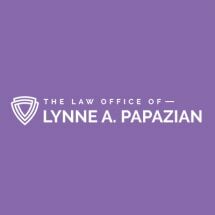 As a general practice, the Law Office of Lynne A. Papazian is dedicated to serving clients in Capital District, including Albany, Schenectady, and Rensselaer, New York, with their legal needs, including family law. Our team works with you to draft a settlement that keeps everyone happy and allows you to focus on building a new life for your family. Another area that we have the ability to assist you with is traffic violations such as speeding tickets, reckless endangerment and parking infractions. While you may be tempted to just pay the fine, these kinds of citations generate points on your license, and if you accumulate too many, you could lose your driving privileges. Our law office gathers evidence to contest your ticket and appears on your behalf in court to protect your interests. In addition to these types of issues, we provide representation in matters concerning criminal misdemeanor charges, unemployment and estate planning. At the Law Office of Lynne A. Papazian, we know that your time is precious. For your convenience, we offer free initial consultations, where we focus solely on the details of your case. We are pleased to accept all credit cards, as well as other forms of payment.